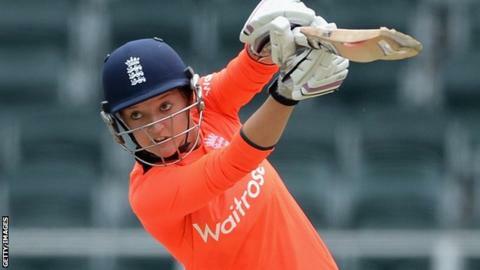 Natalie Sciver hit the winning run off the final ball as England women beat New Zealand by four wickets in a warm-up game for the World Twenty20. Sciver's single came from her first ball as England reached their target of 131 for the loss of six wickets. A partnership of 75 between Charlotte Edwards (28) and Sarah Taylor (51) was the backbone of England's innings. Katherine Brunt took 2-15 to help restrict New Zealand to 130-6, with Sophie Devine top scoring with 40.